A few helpful tips for working with first-time homebuyers when their dream home is not available. Many first-time homebuyers build up big expectations for their first home. After years of hard work, savvy saving, and dreaming of homeownership, it’s common for these buyers to want to skip ahead to their perfect home or continue holding off until they can afford it. However, a “dream home” may not be the most practical or smartest option for a new buyer right now, and delaying for financial reasons may only put them in a worse situation as inventory shrinks and interest rates rise. So what are their options? Here are a few ways you can help first-time buyers fulfill their dream of homeownership now, while making a smart choice for their financial future. We know “starter home” doesn’t have quite as nice a ring to it as “dream home,” but a lower-priced, smaller home does offer some attractive benefits. For example, starter homes can help ease first-time buyers into homeownership with typically smaller mortgage payments each month. One of the biggest incentives behind purchasing a starter home is that it allows buyers to build equity quickly. Instead of throwing away money on rent, buying a smaller, less expensive home, townhouse, or condo could be the best solution financially. If a dream home is the goal, communicate to your buyers that a starter home enables them to save money for a larger down payment when they are ready, instead of jumping into a big mortgage (when hopes of building equity are possibly erased due to higher interest costs). Every great neighborhood has one or two “ugly duckling” homes that just need a little TLC. If location is important to your buyers, discuss the option of a fixer-upper. A smart fixer-upper buyer can save tens — or even hundreds — of thousands of dollars compared to their next-door neighbor who paid top dollar for a home with more initial curb appeal. With a fixer-upper, a buyer also has the ability to create a more customized space that can mimic many of things they are looking for in their dream home — without the big down payment and higher mortgage rates. You can ease their concerns by telling them about the range of specialized renovation loan options that can be tailored to their specific home-buying experience. The right loan will not only help take the stress out of budgeting for the upgrades — but also help the buyers invest in the value of their home, for a potentially bigger payout when it’s time to upsize in the future. Many first-time homebuyers don’t realize how quickly life can change. New jobs and relationships can easily alter even the most thoughtful five-year plan. 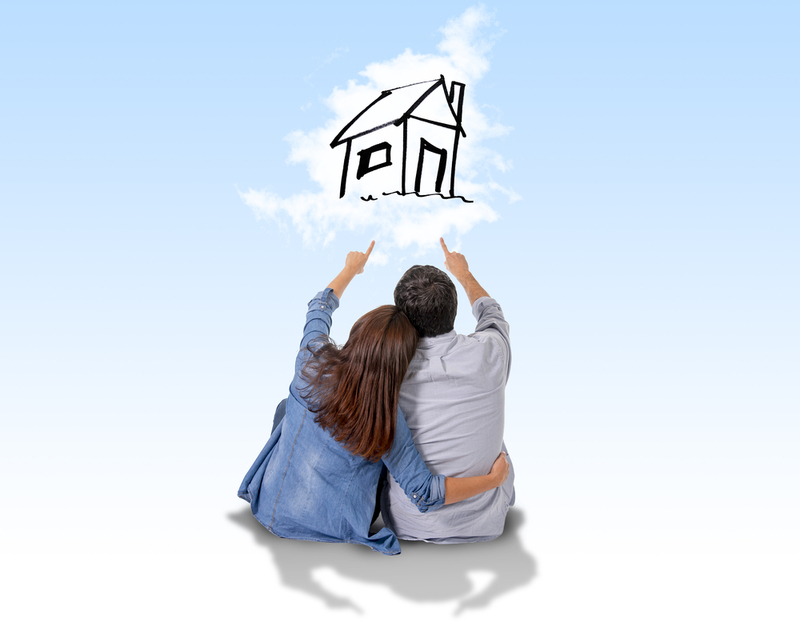 For younger buyers still at a transition point in their lives, it makes sense to discuss the benefits of treating their first home like a relatively short-term investment that can fund the dream home they really want down the road. A “live-in flip” is where a buyer purchases a home needing some work, resides there for about 2+ years, and then sells it for a higher price. Instead of waiting to buy their dream home, your buyers can build valuable equity now and sell the home for a potentially tax-exempt profit they can put toward their dream home down payment. Of course, your buyers should consult with a tax advisor to determine if they’d qualify for this exemption. Similar to the “live-in flip,” house hacking is a purchasing strategy that involves using a residence to produce extra rental income. Suggest to your clients that instead of shopping for a dream home right away, they consider looking at duplexes, triplexes, or 4-plex buildings where they can rent out the extra space. With the variety of home improvement loans in AFR Wholesale’s renovation portfolio, your buyers can turn an undesirable property into an investment that builds equity and helps pay for costs of living through rental income. If your buyer is willing to get creative with their first home, house hacking could be a great solution to suggest. If budget isn’t an issue but your buyers simply can’t find that one home which checks every box on their “must-have” list, suggest that they consider building a home instead. If they know where they want to live, the first step is finding an available lot. Let them know that there are home loans which cover not only the construction of the home, but the land as well — so they can finance the entire project with a single loan and closing thanks to a special One-Time Close program. Whether they’ve had trouble saving up a down payment or they simply aren’t sure what to expect, many first-time homebuyers are wary about the entire buying process. By catering to the concerns of this demographic, you can position yourself as trusted expert and earn their business for life. It’s a good idea to start by asking a lot of questions. How long do you plan to own this property? Are you comfortable with having to do work on the home you are buying? Do you plan on refinancing? Getting to know the details of their situation will aid in determining which loan products could open up opportunities for them. With this knowledge, you can better position the different options according to their unique benefits for your homebuyer’s goals. For low- to moderate-income families, the low fixed rates and zero-money-down option make a USDA Fully Amortizing Fixed Loan a great choice for a guaranteed home loan in qualifying areas. If a client has aspirations to become a homeowner, but has struggled to save up for a down payment, the FHA $100 Down Mortgage can create opportunities with very low out-of-pocket expenses and the ability to reserve a small amount as an emergency fund. Although not available in all areas, this loan can be explored as a great option when combined with other renovation loans to help turn any house into a home they love. If your buyer plans to invest in a fixer-upper or make renovations on a budget-friendly home, you can help them feel more comfortable in their decision to invest in their new home by introducing them to a suite of renovation loan solutions that work for big transformations as well as small upgrades. From Fannie Mae Homestyle Loans that are flexible enough to cover luxury improvements to FHA 203(k) Limited Loans which allow the buyer to bundle repairs into their mortgage loan, you can let your client know you have the right solution for their unique situation. 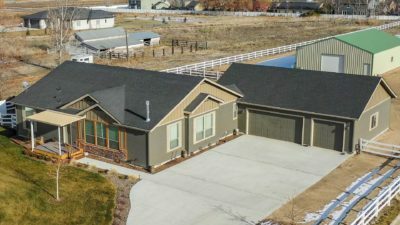 For those first-time buyers who couldn’t find their dream home in a location they love, you can show them how our One-Time Close Program will not only allow them to purchase the land and complete the construction all in one loan, but also receive industry-leading construction support and guidance from AFR. When construction is complete, the loan converts to a permanent mortgage loan, eliminating the need to requalify and have a second closing. Remember, when you’re working with a first-time buyer who is just starting to explore their options, you can help make their dream of homeownership dream come true — even if they don’t buy a “dream home”. Just make sure you’re well-equipped with the right financing options and wholesale mortgage partner. Contact AFR Wholesale to learn more about selling to first-time homebuyers and all the options you have to work with this group today.